The safety of BRC Rentals’ employees and customers is of the utmost importance to the company. As such we’ve adopted safety as a value by which to run our business. We also realize that the cost of safety is much less than the cost of injuries. Let BRC Rentals help you build a culture of safety that keeps your employees free from harm and increases employee loyalty and effectiveness. Aerial Lift Training: This training prepares individuals to understand the hazards involved in operating aerial lifts and scissor lifts. 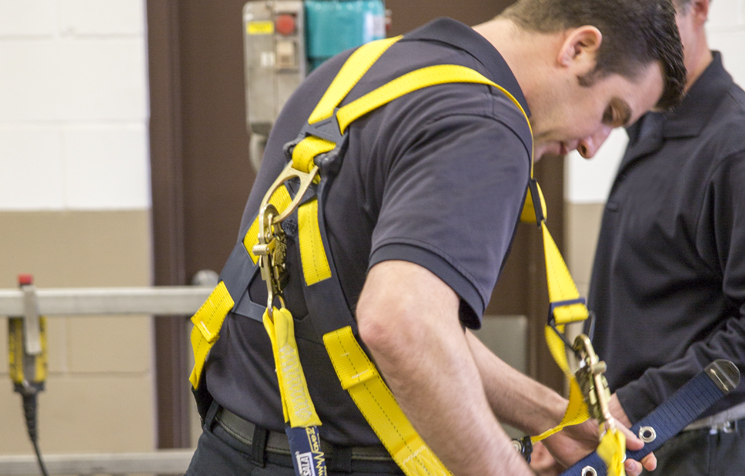 You will receive the hands-on training you need to safely operate aerial lift equipment with confidence. All training conducted meets all applicable OSHA standards. Forklift Training: This training prepares individuals to understand the hazards involved in operating forklifts, including warehouse and reach forklifts. You will receive the hands-on training you need to safely operate these different forklifts with confidence. All training conducted meets all applicable OSHA standards. Rates differ based on training needed and size of group. These trainings are designed to fulfill the OSHA safety requirement for operating these machines. Upon completion of the training, you will receive a certification card showing which safety course you have completed and the date of completion.